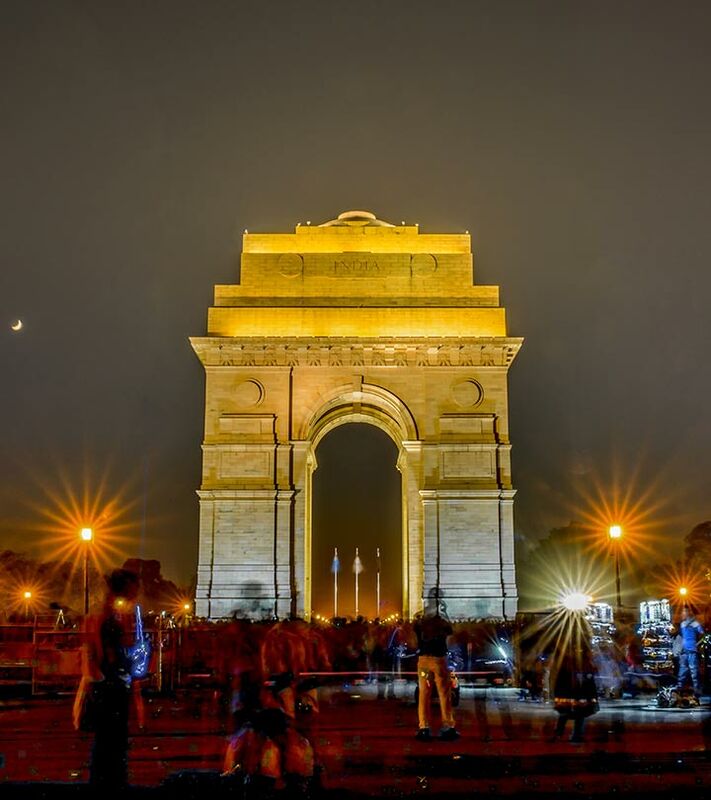 Leave me in Delhi, and I will be the happiest. It’s a paradise for women and probably as close as you can get to a fairyland. 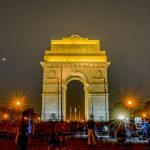 From street shopping to designer wear, thrift stores to malls, flea markets to luxury boutiques—it’s inarguably India’s fashion capital. 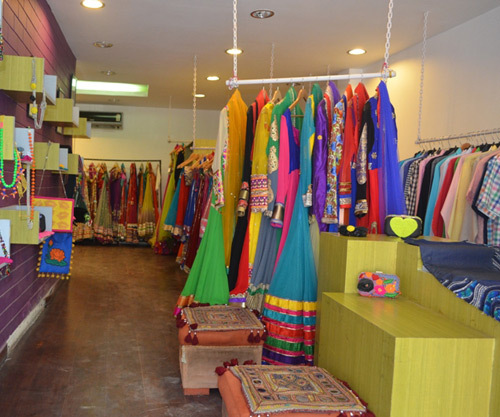 If you are on the lookout for some good designer boutiques in Delhi, you’ve come to the right place. After thorough research, we’ve compiled a list. So check this out! A store that caters to the end to end needs of not just brides, but also offers a broad range of clothing for men, women, and kids. 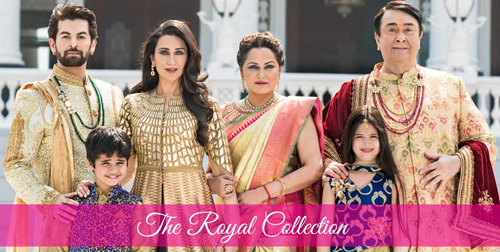 An exclusive line in the wedding segment—Royal Collection launched recently, stays true to its name and offers exquisite designs not just for the bride but the entire family. They are also known for their other collections—party wear, every day and ready-to-wear. Price Range – Moderate to high. Best Known For – Bridal collection, sarees, lehengas and party wear dresses. 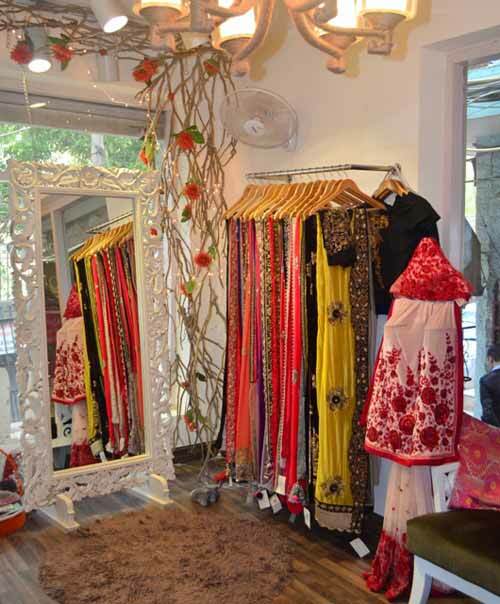 Hauz Khas village is nothing short of a fairy tale for girls. The quaint streets, vintage decor, and rustic vibes are oh-so-welcoming. If you’ve been here before you know what I’m talking about; if you haven’t yet, then you must. 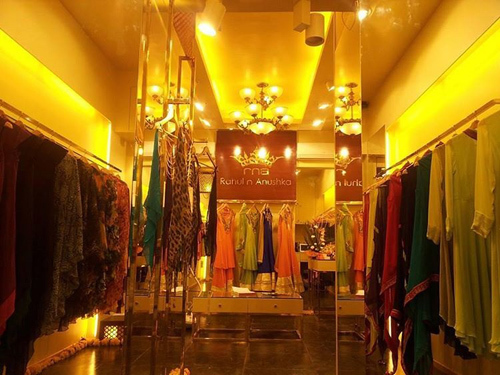 And here’s one such place with unique Indian designer wear. People love this place because it is traditional in a very contemporary way. The place is vibrant, sophisticated and elegant, without being over the top. Price Range – INR 3000 onwards. Best Known For – They have an amazing collection of sarees—georgette, chiffon, zari, etc. Lehengas and party wear dresses are fabulous as well. Phone Number – 011-2651 4716. ‘Madsam Tinzin’ was started by Madhuritu Dutta who caters to discerning women, with designs that are unique, appealing and dreamy. The label has its flagship store in Delhi and a significant online presence. Madsam Tinzin has proved her fashion prowess at the runway too. Her collections have stories to tell; her embroidery techniques and inspiration have been inherited from different parts of the country. If you’re a modern bride looking for something contemporary, classy, elegance while leaving the traditional touch intact, you must visit this store. Madsam Tinzin is all about pastels and subtle undertones of blues, yellows, violets, etc. The silhouette she creates with different fabrics is truly mind blowing. Price Range – On the higher side. Best Known For – Wedding collection. If you’re remotely into fashion, you already know that Niharika Pandey’s work is featured in many lifestyle and fashion magazines. And, it does not stop there, she also presented her work at Wills Lifestyle India Fashion Week. So, you can imagine what her store has to offer. She is also known for the unique decor of her flagship store. Her store stands out even among the hundreds of stores out there. So, if you’re looking for quirky and eccentric Indo-western or traditional clothes, you’ve got to get to this place. Niharika Pandey is known to give everyday wearable clothes a refreshing spin, something that you don’t see otherwise. Price Range – INR 5000 onwards. Best Known For – Indo-western clothes, lehengas, and suits. Liz Paul and Satya Mishra started this label after their graduation. They are staple wedding designers and made a strong place in the bridal trousseau. Liz Paul’s education in fashion designing and Satya Mishra’s diploma in fashion merchandising ensured a smooth takeoff of their label. With a flagship store in Shahpur Jat and over 25 designer boutiques across India, they also set up shop in the US, UK, and UAE. They are big on wedding luxury collection and are masters of their game. If you’re scouting for your wedding dress, you should stop by. Best Known For – Wedding lehengas, floor length Anarkali, and sarees. Rahul And Anushka Laul are known for playing with the aesthetic of a dress using colors and embellishments. RNA collections ooze global influence with Indian sensibilities. They showcased their work on the runway in India and abroad. They first showcased their work ‘God’s must be crazy’ at the Lakme Fashion Week in 2010 followed by ‘God made me FUNKY’ at India Premiere London Fashion Week and ‘God’s new avatar.’ The names of the collections sound this cool, imagine the dresses? If you’re looking for fusion wear, which is in vogue right now, you MUST visit their store. Price Range – Mid level. What To Look For – Indo-western dresses, gowns, tunics, and kurtis. Advent By Arya is a store that caters to men, women, and kids. Not just Indian and ethnic dresses, they have an exciting range of business suits, jeans and kurta pajamas (men). From everyday dresses, kurtis and exquisite bridal collection, they have it all. The store is also known for its appealing interiors. Price Range – Medium to high. What To Look For – Indo-western suits, kurtis, salwars, and Anarkali dresses. 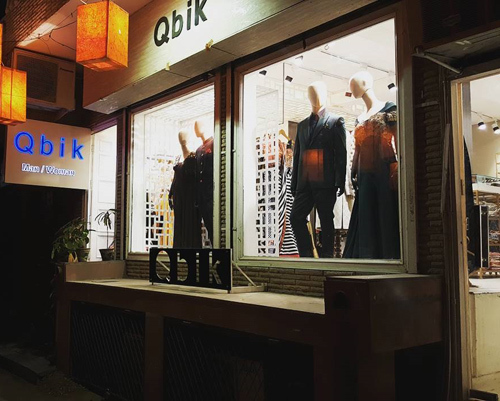 Another favorite in the area—Qbik. And, it’s known for being one of the nicest stores in New Delhi. They offer ethnic Indian clothes for both men and women. Apart from the regular sarees, Anarkalis, lehengas and salwars, they are known for designing skirt, dhoti dresses, and sarees. The prices are not very economical, but they are worth it. 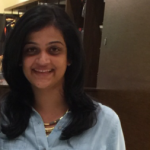 What To Look For – Nehru jackets, kurta-pyjama, skirts, and dhotis. This store is relatively small in terms of their size and collection. However, we had to mention it here because whatever little they have to offer is unique and gorgeous. What To Look For – Floor length Anarkalis. Luxury swimsuits anyone? Or bikini sari may be? They have many such attractive designs. Shivan and Narresh had the vision to tap into a market that none of us knew had the potential in India. And, I guess that’s why people like them make it to the Forbes 30 under 30 Achiever’s list. They also are the first Indian brand to present their collection at Mercedes-Benz Fashion Week. We can go on about them, but if you’re looking for swimsuits for summer or preparing for your next cruise vacation, you’ve got to go here before you jump in the pool. Price Range – Medium to expensive. What To Look For – Swimwear and bikini saris. The brand has its roots in Indian origins and literally translated means ‘leather and thread’. Gautam Sinha – a graduate from NIFT who broke all fashion stereotypes and decided to take the less traveled road. LITERALLY! He ventured into exploring Indian leather and artisinal craftsmanship. Blending Indian sensibilities with a global touch, Gautam Sinha is one of his kind. And, he was also part of the list of ‘five most creative talents’ in India by the British Council. From bags, backpacks, wallets, covers, trunks, etc. – Nappa Dori has distinctive designs to offer. All of them, made from leather. They also customize and emboss initials, names, etc. on their products. 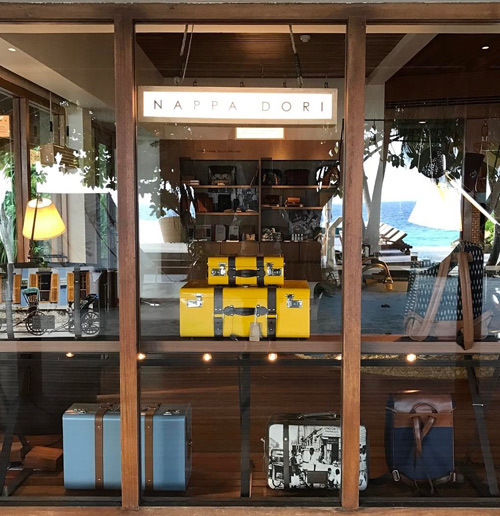 Nappa Dori works in collaboration with some of the big brands in the hospitality industry and customizes their products. A store you cannot afford to miss! Price Range – On the expensive side. What To Look For – Cannot decide on one, everything is interesting in here. Anjana Das is the founder of this small yet powerful and famous label ‘White Champa.’ Born in Germany, Anjana traveled many parts of the world to bring about all her experiences into her label. White Champa is a name liked by discerning women who are aware of their fashion choices. And for those who have a taste in unassuming fashion, whimsical art and rich taste. White Champa works with master artisans in creating timeless and iconic pieces that are tweaked and updated every year. They offer tailor made collections for both men and women created by a team of highly skilled tailors and artisans in New Delhi. A store that is not only fashionable but inspiring and path breaking. We need to encourage the existing ones and have more such brands. 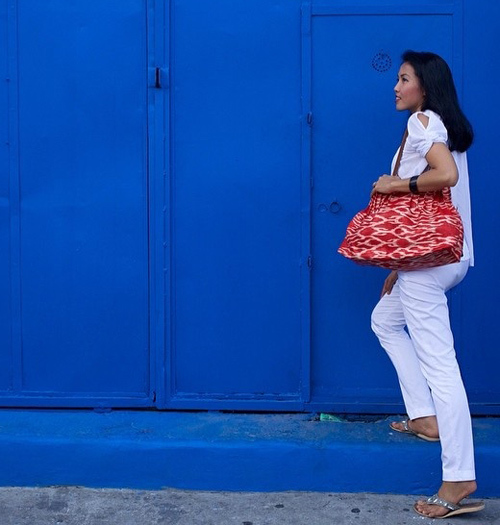 What To Look For – Kaftan dresses, clutches and handbags. 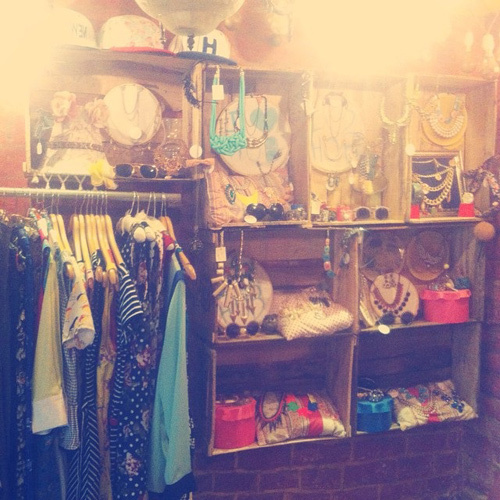 House Of Blondie is a store that houses jewelry and accessories collected from all over the world. From the interiors of the store to their collections—everything has a vintage touch while keeping up with the latest fashion trends. Their lehengas and dresses are grand yet elegant, and light, something all of us need in this weather. Go, check it out! 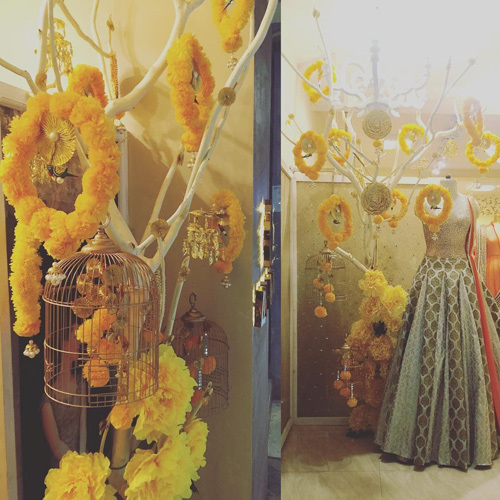 What To Look For – Accessories, bridal wear. If you are a fan of Indie, Boho, and quirky accessories, here’s one store you should visit the next time you are in town. 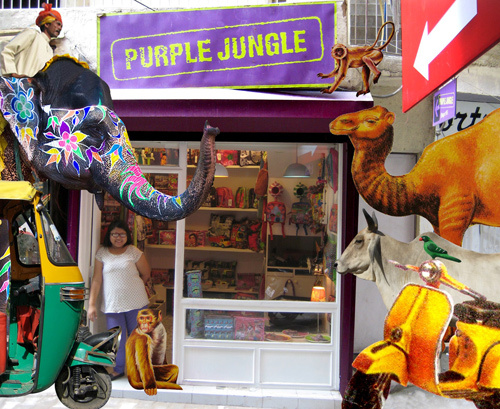 The Purple Jungle offers an exciting range of travel accessories, home decor and a lot of fun stuff! What To Look For – Home decor, pillows, pouches, and bags. 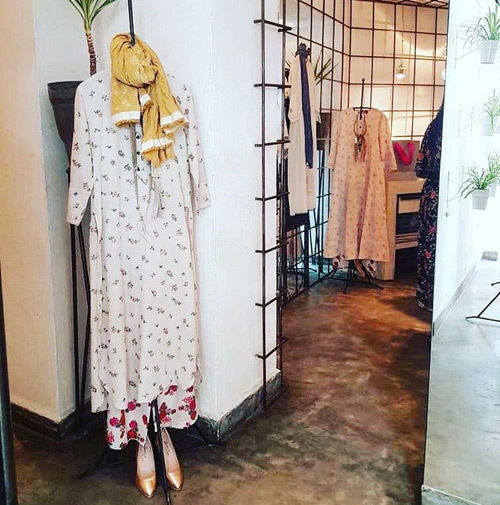 Ogaan—a boutique that retails multi-designer collection, started with their flagship store in Hauz Khas Village, and later went on to open much more across India. Some big names from the fashion industry right now had first retailed their collections here before they opened up their stores. 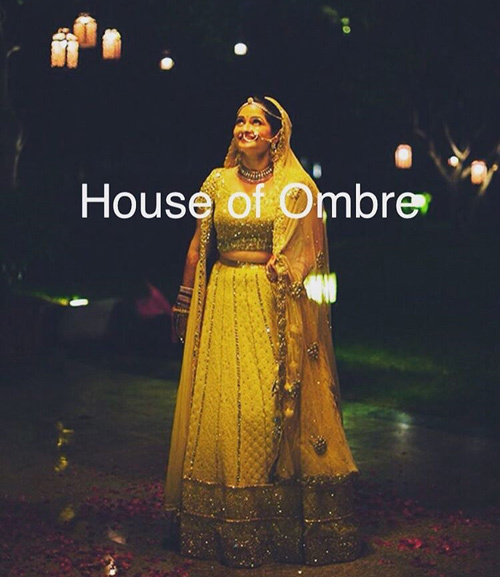 From designer studios to runways and labels; from khadi to handmade, handloom, luxury, couture and bridal collection—A one stop shop to match everyone’s needs. We are all spoilt for choice, aren’t we? The kind of talent we have all around is aplenty. 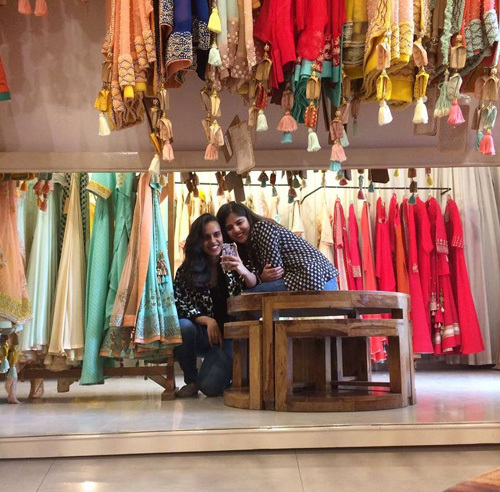 And, no wonder New Delhi is called ‘The Mecca For Shopping.’ Let us know if we missed any good stores or boutiques in Delhi. Happy Shopping!